The name Anthony ("Tony") Giannetta and the home building industry are synonymous in Fresno. Tony Giannetta began his career in home building as a carpenter in the 1940's. In 1951, he and John Mortillaro formed the Quality Homes Construction Company, and a year later merged with Cetti Brothers Construction Company. Since the merger, they have developed over 27 subdivisions and built more than 4,500 homes in the Fresno, Clovis, and Madera areas under the Hallmark Homes logo, as well as constructed numerous commercial projects, making them one of the largest builders in the region over that three-plus decade span. Tony Giannetta has been a member of the Building Industry Association of the San Joaquin Valley (BIASJV) since its inception, having served as President in 1967, 1979 and 1980. He is a Life Director of the BIASJV and served as Director to both the California Building Industry Association and the National Association of Home Builders. He was a stalwart on the California Building Industry Association Legislative Committee and has served at various times on the California Building Industry Association' s Executive Committee, Insurance Committee, Evaluation and Long Range Planning Committee, and the Nominations Committee. He has chaired and served on innumerable BIASN committees and task forces during his career. A native of Fresno, Tony Giannetta is also involved in the community. Through his work on the high school level with Ken Wall, head of the Construction Technology Department at Fresno City College, he has provided work experience training for students in the building industry. 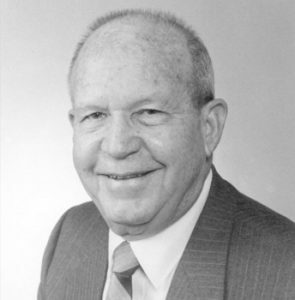 He helped create the National Association of Home Builders-Building Industry Association student chapters at both Fresno City College and California State University, Fresno, both of which are part of the scholarship program funded by the California Building Industry Foundation. ​Though "semi-retired" Tony Giannetta is still involved in land development in the Fresno region and many of the issues which affect the industry. He has been married to his wife, Alice, for over 45 years and they have six sons and nine grandchildren.